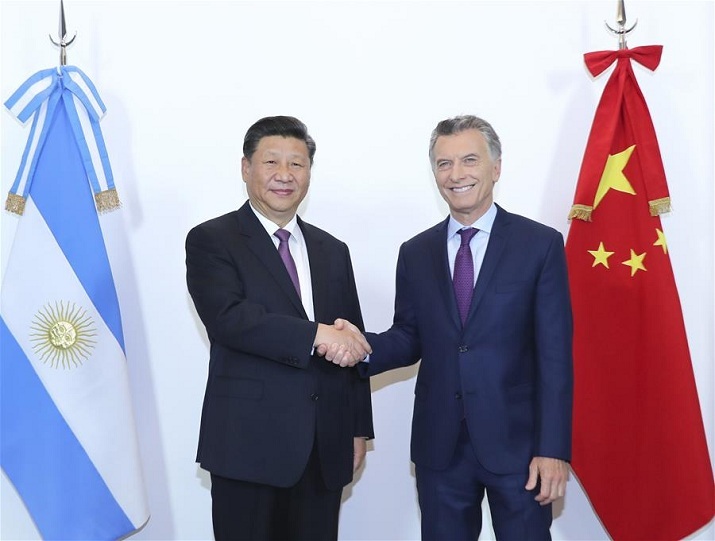 Chinese President Xi Jinping met with his Argentine counterpart Mauricio Macri in Buenos Aires on December 2, and the two leaders agreed to jointly open up a new era of the comprehensive strategic partnership between their countries. Xi arrived in Buenos Aires on November 29 to attend the 13th Group of 20 (G20) summit and pay a state visit to the South American country. He congratulated China, upon the 40th anniversary of its reform and opening up, on its enormous achievements in social and economic development, poverty alleviation and other fields.